My French Pot Roast (aka Pot au Feu). 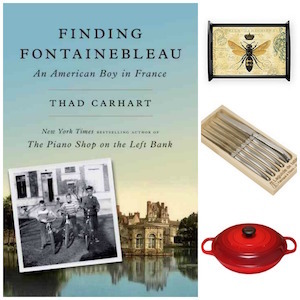 Pot au feu, or pot on the fire, is classic bonne-femme fare. In this case, the good wife simply boils beef (usually a cut from the shoulder, such as a chuck roast) with vegetables until it’s done. 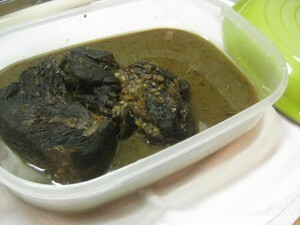 Generally, the resulting broth is served as a first course; then, the meat and vegetables are served as a second course. Truth be told, the basic pot-au-feu can be simple to a fault. That’s why French women have as many flavored-up versions of pot-au-feu as American women have of pot roast. 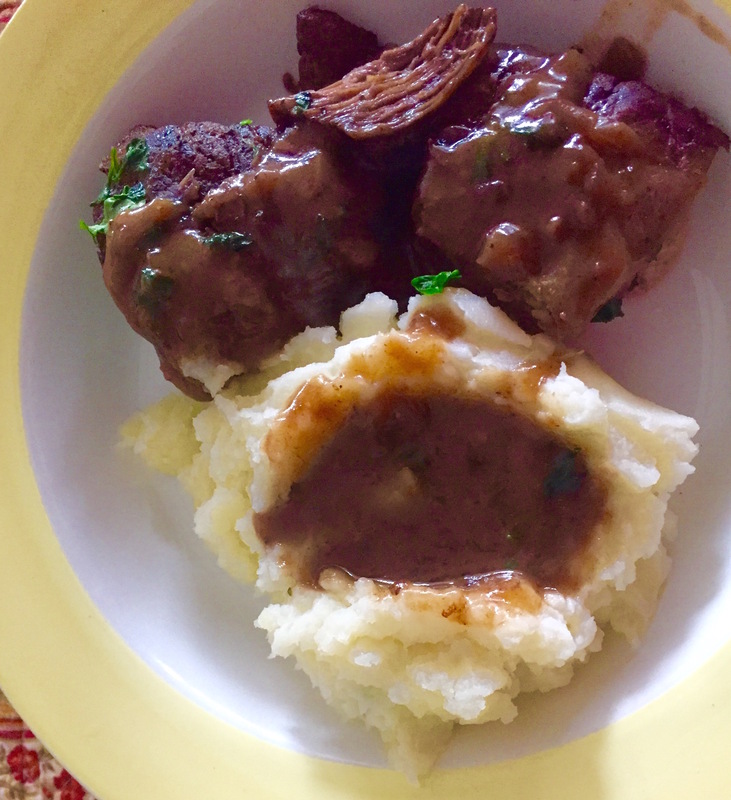 This one calls on two favorite French braising ingredients: wine and herbes de Provence, as well as a touch of balsamic vinegar to deepen the sauce. 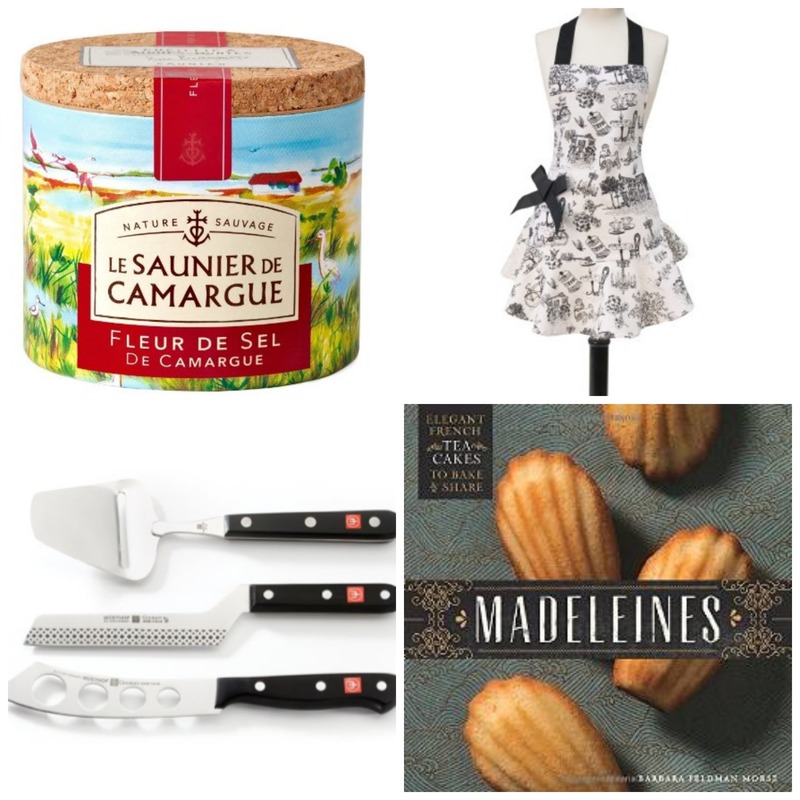 (Yes, French women use balsamic vinegar, too. Why wouldn’t they?). If you want some step-by-step tips and photos, scroll down. P.S. : I love using my Le Creuset Braiser for this. 1. Season the meat with salt and pepper. Heat the oil in a large ovenproof braiser or Dutch oven over medium-high heat until it shimmers. Add the roast and cook, turning as needed, until browned on all sides, about 10 minutes (reduce the heat to medium if the meat browns too quickly). Transfer the meat to a plate. 2. Reduce the heat to medium. If the pan is dry, add another tablespoon of oil. 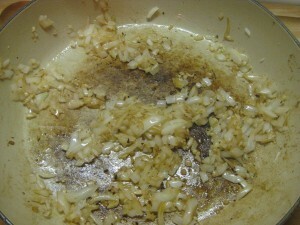 Add the onion and cook, stirring, until slightly softened, about 2 minutes; add the garlic and cook, stirring, until fragrant, about 30 seconds more. Add the wine, beef broth, balsamic vinegar, and herbes de Provence. Bring to a boil, stirring to loosen any browned bits from the bottom of the pot. 3. Return the meat to the pot and bring to a boil. 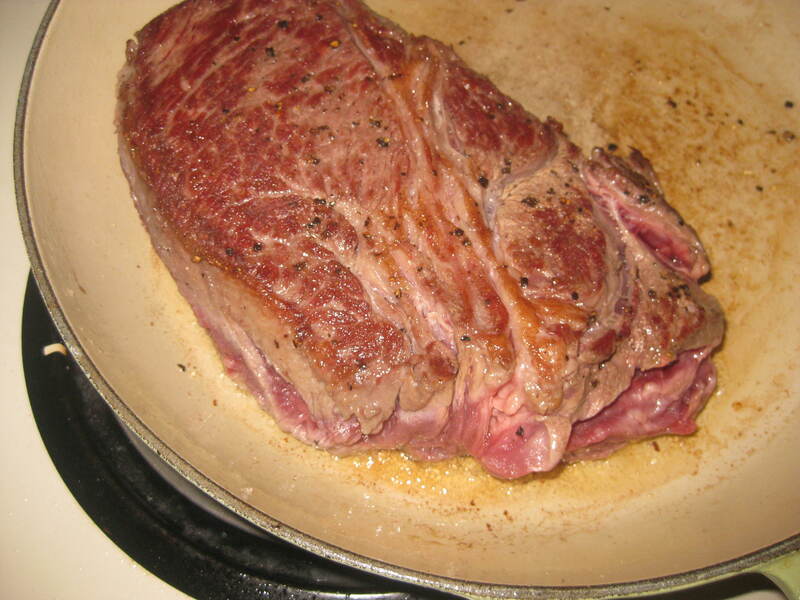 Reduce heat to a simmer, cover the pot, and cook until the meat is tender, about 1 hour 45 minutes. Check now and then to make sure that the liquid is not boiling (nor the steam escaping), or your pan will become dry. If this happens, add a little more wine and broth and reduce the heat back to a simmer. 4. Transfer the roast to a cutting board and cover with foil to keep warm. Work the butter into the flour to form a paste (a beurre manié). Bring the liquid to boil over medium heat; whisk in the beurre manié bit by bit until sauce is as thick as you like. Serve sauce with meat. STEP-BY-STEP PHOTOS (even though this recipe is so simple that you shouldn’t need them). 1. Make sure to brown all sides of the roast. And choose a roast with some fine fat and connective tissue. 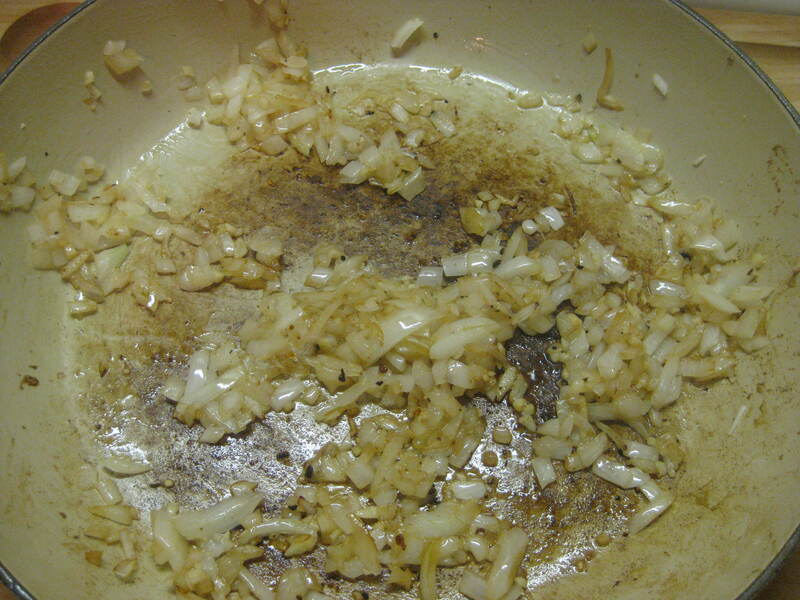 Cook onion first, then add garlic (that way, it won’t burn). You want browned bits in the pan, but you don’t want to burn the garlic! Isn’t she lovely? A nicely browned roast, which you remove so that you can occupe-toi avec tes oignons. Add liquid to the pan, and stir well to scrape up those tasty browned bits. No need to chase around for fresh herbes de Provence. 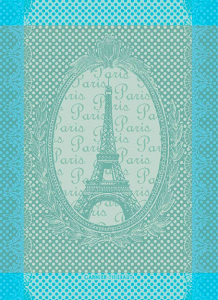 They’re most often used dried, in France–especially when it comes to something that simmers a while. You don’t have to do this, but after the roast is done (but before thickening the sauce), I like to refrigerate it for a day, to let flavors meld. Then, just pick up where you left off in the recipe. Wini, that has my mouth watering! I love the everyday French food, so hearty and satisfying. The classic cuisine and cuisine minceur are good on occasion, but the everyday is what I’m all about as well. Thanks, Jean. 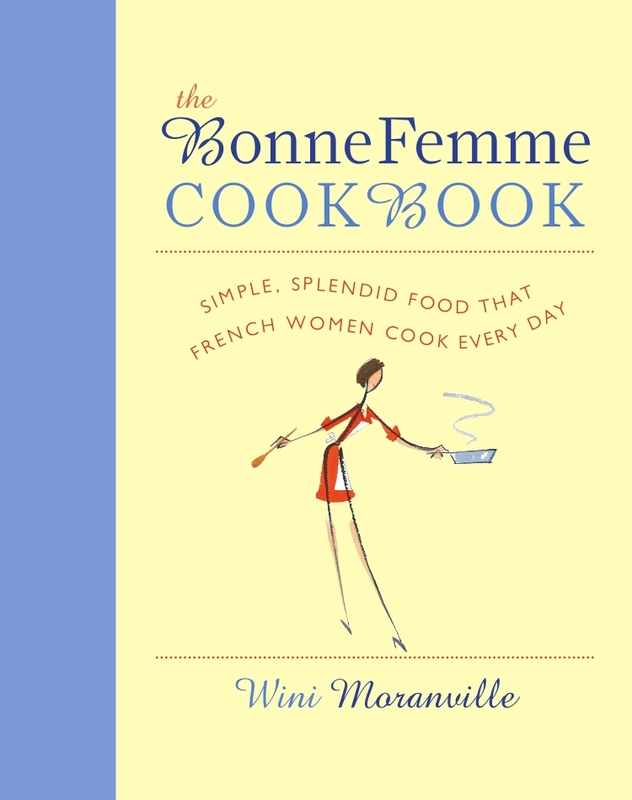 I think that after this book, I should probably do a cuisine minceur next….if you know what I mean. Love this recipe! Making it for the second time tonight. I noticed, however, that the balsamic vinegar listed in the ingredients is not in the step-by-step. I assume it goes in with the broth and wine, but thought you might want to update the recipe. Thank you so much, Ellen for pointing this out. You’re correct about adding the vinegar with the broth and wine, and I’ve updated the recipe. Thanks again! 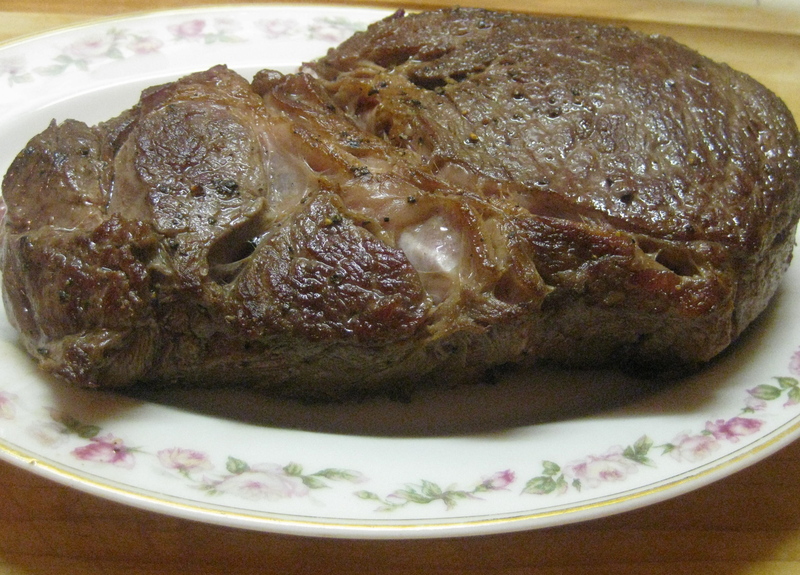 Ahhh… Beautiful Delicious pot roast !!! I love to cook and try different everyday repas !!! I was wondering what would be a good bread to serve with this hearty rapas !!!! Well, you can’t go wrong with a traditional baguette, can you? But a boule (that crusty round country loaf would be fine). But then again, I’ll never say no to a good old-fashioned dinner roll, as long as its homemade and yeasty-good! 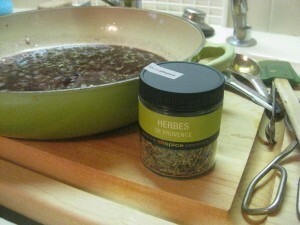 Love the idea of herbes de Provence in pot roast. LOL! Hopefully,Tom, your guests would be so thrilled by an evening of terrific conversation and conviviality that they’d never notice whether or not the herbs were crushed. They’d leave your party thinking, “Oh, what a wonderful evening! Isn’t it great to be alive!” (I got that last line from the movie Mrs. Dalloway — she loved to throw parties simply to give them an evening where all was right with the world and make her guests feel the thrill of being alive). Anyway….just crush the herbs between your finger and thumb before you add them to the recipe. It truly does help their flavors release. That’s it! I hope this helps. Sorry for the late reply … I need to check my comments more often, clearly.